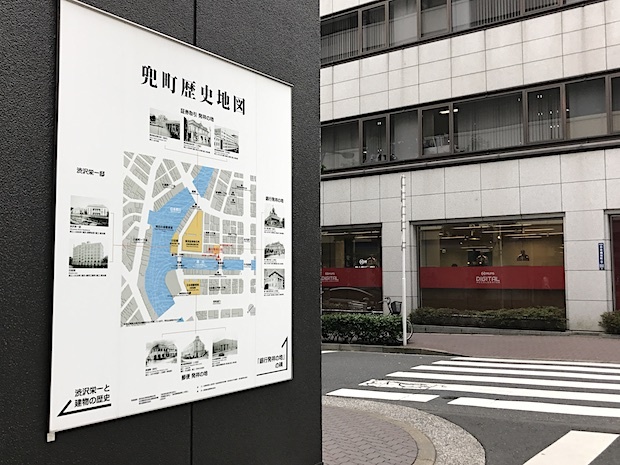 MUFG Digital Accelerator’s “The Garage” was born in Nihonbashi’s Kabutocho, Tokyo. There are many people who enter under the impression that it is a bank on account of the conspicuous signage. 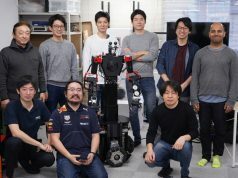 This is part of our ‘Tokyo Office Tour’ series (RSS), a modest attempt to better understand how folks in the local startup scene are working every day. Over the last year several FinTech startup activity bases were established around the Tokyo Station. 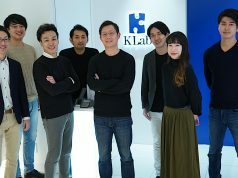 Finolab relocated and renewed their space, and a number of events were held at FinGate, which was established by Heiwa Real Estate. There are also many FinTech startups at the Global Business Hub Tokyo (GBHT), which is also home to 500 Startups Japan among others. The financial district in Tokyo is largely located across from Tokyo Station and divided between the Marunouchi-Otemachi side and the Yaesu-Nihonbashi side. The Marunouchi-Otemachi side was established by Yatarou Iwasaki, the founder of the former Mitsubishi Zaibatsu conglomerate, while the Yaesu-Nihonbashi side holds the origins of the modern financiers. 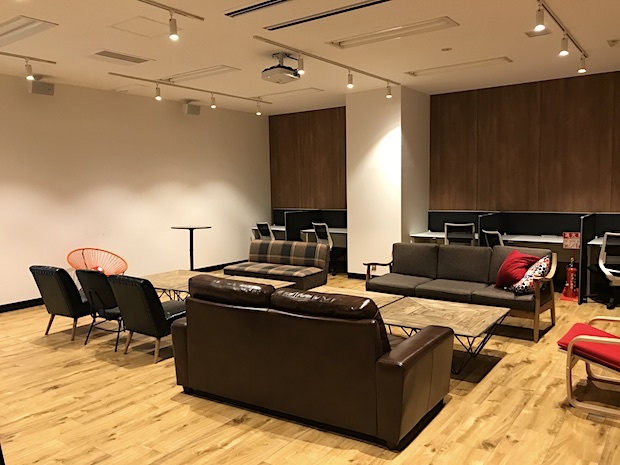 As the name suggests, Marunouchi is the area directly in front of the Imperial Palace and there are not many properties to be had for startups just beginning, but in the Nihonbashi area, FinTech startup offices are popping up more and more. 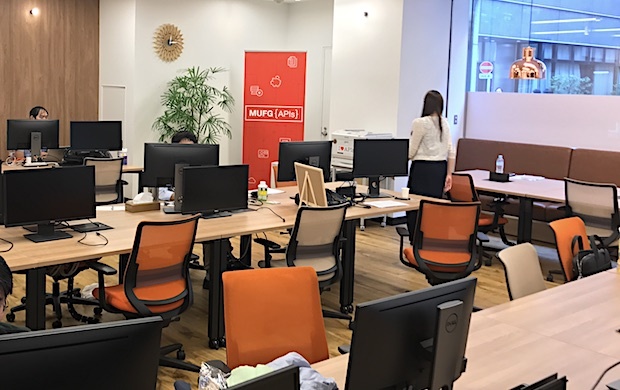 This spring, in a little corner of Nihonbashi’s Kabutocho neighborhood, MUFG Digital Accelerator, which is presided over by the Mitsubishi UFJ Financial Group (MUFG) opened up their first co-working space called The Garage. I popped in to see their space after the dust settled from renovations. 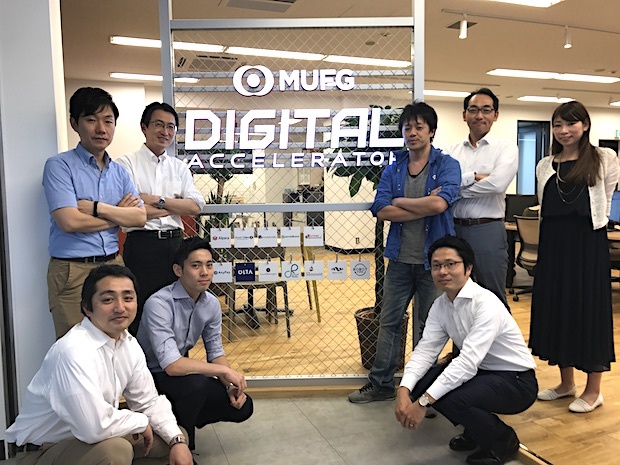 The MUFG Digital Accelerator currently operates a four month acceleration program about once a year, and it is time for them to finalize the batch for their second phase. The 7 startup teams currently participating in the batch have reached the final stage and are putting the finishing touches on their plans for collaboration for the demo day on July 28. The five teams that participated in last year’s first batch, as well as the logo of the seven teams of the second batch currently in progress are displayed at the entrance. 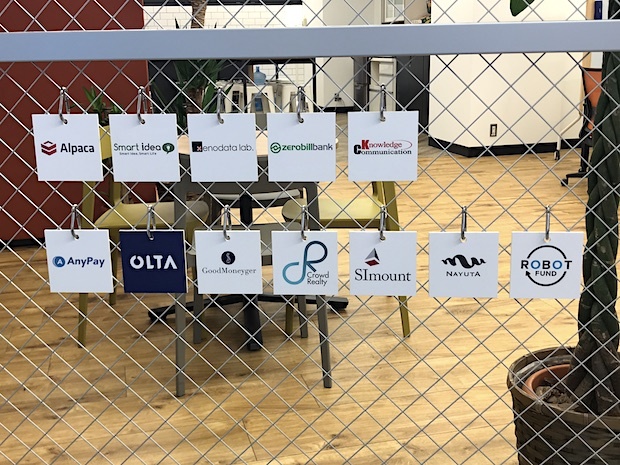 On the premise of cooperating together, “Facilitators” from the MUFG Digital Accelerator assign MUFG employees called “MUFG Mentors” to each of the seven participating startups, as well as external collaborators from VCs and other accelerators who are participating as “Pro-mentors”. Over the course of the program, monthly pitch days, weekly and biweekly mentoring, API meet-ups and mini Hackathon gatherings are held at The Garage. 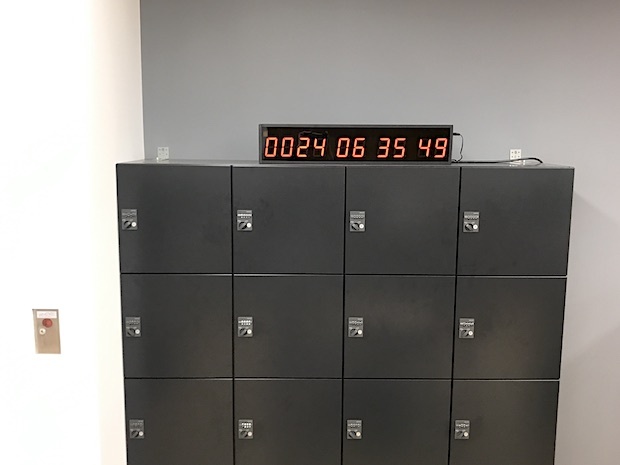 The demo day countdown timer. There are about 3 weeks left. (Unlike corporate accelerators) an independent accelerator is one that aims to support entrepreneurs trying to develop businesses from scratch with various resources, encourage market-ready products to be released to the world, and lead the companies to the next fundraising round. On the other hand, corporate accelerators will look for startups to collaborate with, the aim being to create some sort of output, but it is rare for truly productive collaborations to be born by merely matching up startups and in-house business personnel. 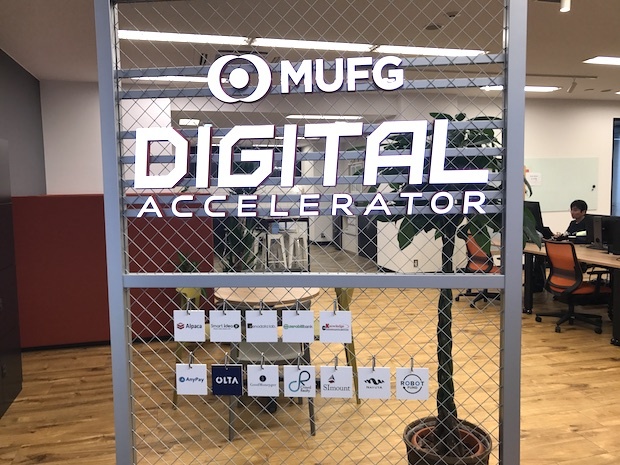 In the case of MUFG, each group company recently established a department called the “FinTech Promotion Office”, and each company has devoted active internal personnel to lead, thus creating a smoother environment for collaboration with startups. Much like a reality talent competitions such as American Idol, during the second stage representatives from each group company listen to pitches made by the startups, nominate teams they see as compatible for potential business collaborations, and commit themselves to supporting the team until the program ends (or even after that). 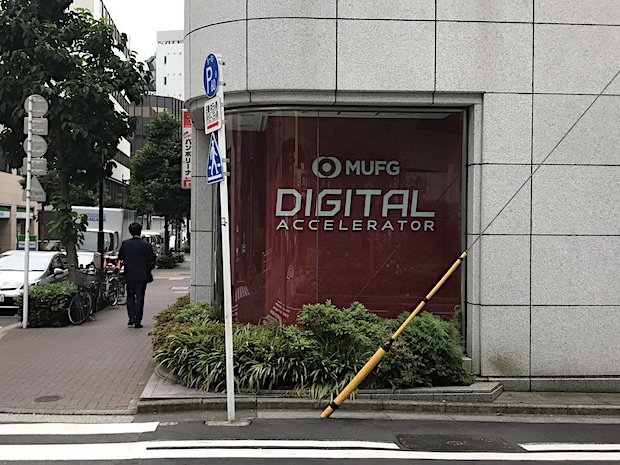 The MUFG accelerator program has evolved from its first batch as a FinTech accelerator, to a broader scope with the second batch as a digital accelerator. 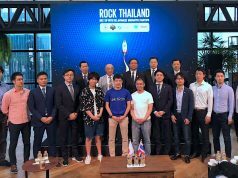 Until now, participation in the program was restricted to domestic Japanese startups, but starting with the next batch, they will actively focus on accepting overseas startups. But before that, we look forward to the demo day for the second batch on July 28th.